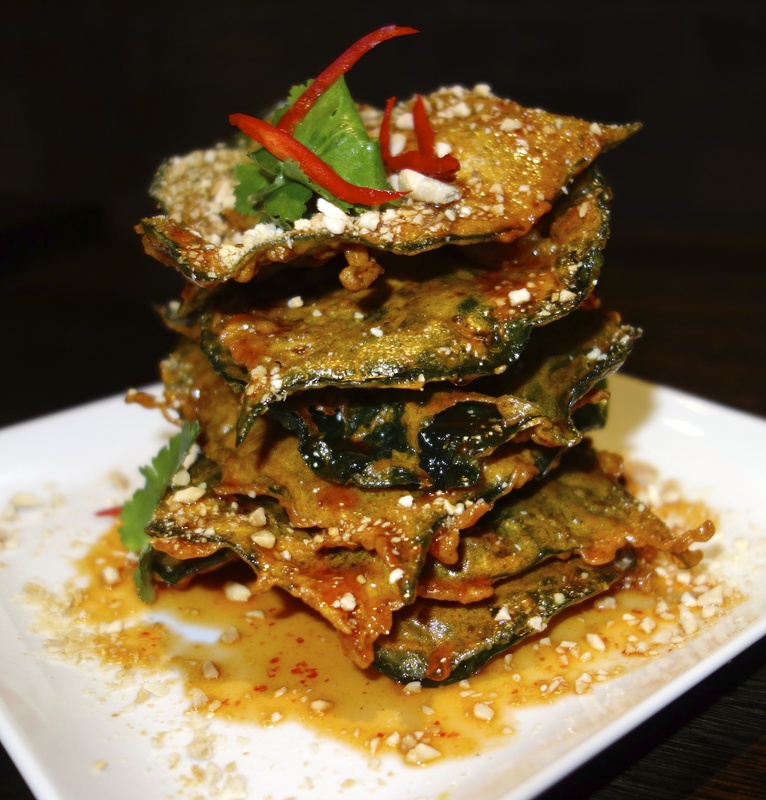 Spice I Am is, in our opinion, possibly the best Thai restaurant in Sydney. Located in Victoria Street Darlinghurst, opposite the famous Tropicana Coffee Shop, the birthplace of TropFest. The minimalist décor is very elegant and stylish, in dark tones, giving a feeling of warmth. There is even a semi-private dining area in one corner, perfect if you have a large group. When we visited for lunch recently, we received a very warm welcome from Mimi, who after showing us to our table, explained that they had both an a la carte menu and a special lunch menu from which to choose. The lunch menu offered a good selection of light meals, priced from $9.50, including Fried Fish Balls and Moo Daed Deaw (Marinated Pork Strips) along with Soups and Stir Fries from $14 such as Mee Hokkien (Phuket Style) and Pad Kee Mao (spicy noodles). Most dishes came with a full description, and many with a picture. We placed ourselves in Mimi’s hands who selected for us. Mimi, who is from Ayuthaya, the old capital of Thailand, patiently explained the ingredients of each dish plus its degree of spiciness. If we had been making our own selections, we probably would not have chosen many of the dishes selected for us, thus missing out on some incredible flavours. Some of the seats do not have backs, so if you particularly like a chair, it’s a good idea to mention this when booking. 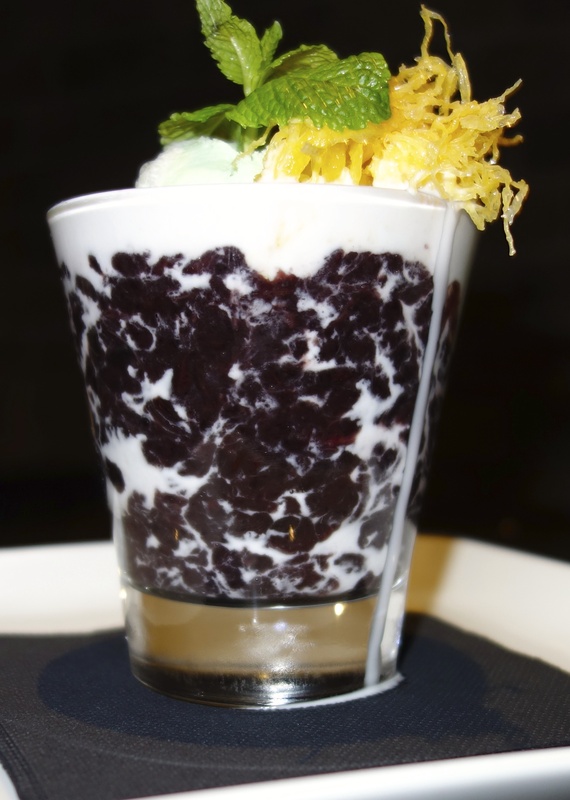 Spice I Am offers a $40 per person set menu for groups with a minimum of four people. 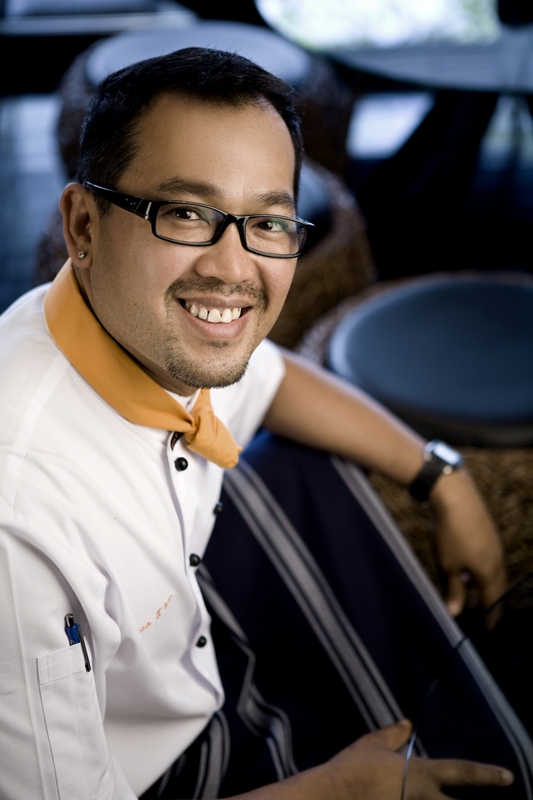 Co-owner and Executive Head Chef, Sujet Saenkham who is from Central Thailand, has created some memorable dishes. Take Away Menu with free delivery to surrounding areas. Spice I Am gets our highest rating. Trading Hours Monday – Sunday Lunch 11.30 a.m. – 3.30 p.m. Dinner 5.45 p.m. – 10.30 p.m. This entry was posted on Saturday, June 22nd, 2013 at 4:39 am and is filed under Uncategorized. You can follow any responses to this entry through the RSS 2.0 feed. You can leave a response, or trackback from your own site.